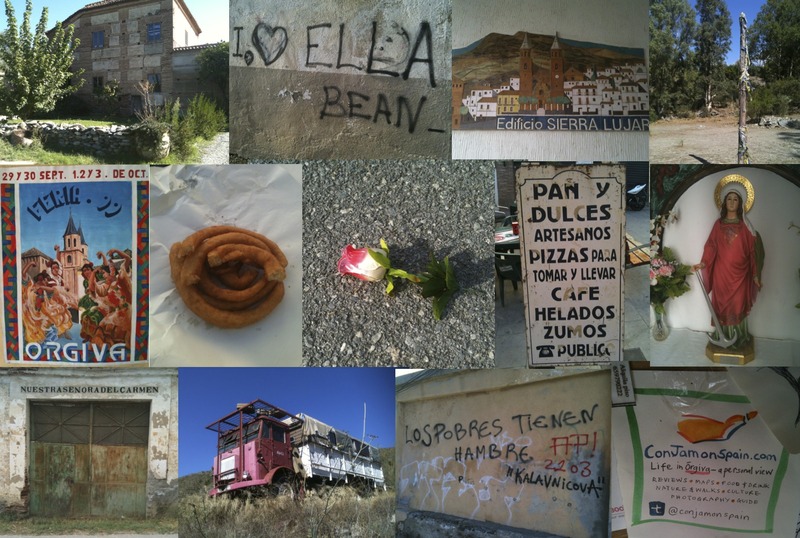 Here’s a montage of images taken in, or around, Órgiva. Only one or two have been used before on the blog. Check beneath the image to find out what they each are. Click on the image to open a hi-res version. (10) Old building (11) Truck at El Morreón (12) Graffiti: ‘The poor are hungry‘ (13) Our scruffy ‘advert’ !